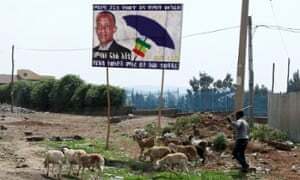 “You yourself should respect the law,” said Abel Wabella, 28, from the Zone 9blogging group, after judges denied him the chance to protest against the tortuous pace of legal proceedings that began more than a year ago. 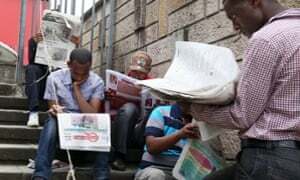 The case of nine journalists and bloggers arrested in 2014 has been decried byhuman rights groups as an example of Ethiopian authorities’ crackdown on dissent. The nine were detained on allegations that they worked for foreign human rights groups or had used social media to incite violence.